i have sent 4emails to a major product to there Thailand distributor and can not get an answer to a question about a product i am interested in buying. this is a major world wide audio-visual company. if you go to a store where there product is sold and ask a question all you get is a far away stare and no answers. the same goes for business in Thailand, send an email numerous times with a question and get no answer!!!! trying to get an address or phone number is ridiculous. they wonder why they loose money or do not have customers, good business model!!!!! Did you write the email in Thai? It matters if all the employees working there cannot read or understand English. Yes, most sales people in Thailand are not interested in selling something. There is no benefit to them personally by answering your questions? Ask most any sales clerk where something is located and you will get "no-have". Post Office Thonglor, letter to Belgium. Official looked at it and asked : "Germany?" Be fair: hardly anyone outside of Belgium actually knows where it is. You are wrong mate, e-mails in English almost never get answered here. I e-mailed/ phoned a Thai company many times, no response, got my wife send an e-mail in Thai, got a reply 30 minutes later. 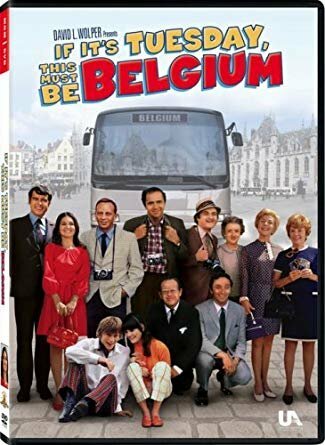 Be﻿ fair: hardly anyone outside of Belgium﻿ actually knows﻿ where it is﻿. Much as I usually hate reading comments from posters saying "But ..." and then quoting a once-in-a-lifetime exception, I'd have to say that I've corresponded in English extensively with True so it would vary depending on the size of the company surely? Invadeit answers almost immediately. Lazada answers and even gave me 200 baht coupon for being inconvenienced. 4 Thai hospitals have all answered my emails in English. AIS answers my emails and refunded my 4000 baht in cash in one instance and a new product in another instance. Water companies have answered me as have insurance companies and Central department stores and food suppliers. Furniture stores, and custom leather makers even a fruit seller. Not just that, the frustrating thing is when a website has a Thai and an English version, with information on how to contact the company in English, then when you try there's no response.